Who pays for repairing or replacing a flat tyre if the car is rented? If you are heading off on holiday you may have booked to collect a rental car at the destination airport. You may be renting a car for a long journey, to save wear and tear on your vehicle, or you may just be between vehicles and need the use of a car for a day. There are plenty of different reasons for renting a car. But, what if during your journey the car develops a flat tyre? 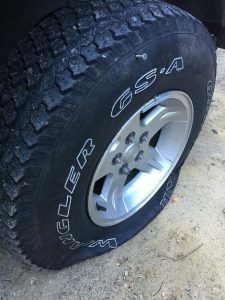 Many people believe that eventualities such as a flat tyre are covered by the rental company, or possibly by additional insurance they have chosen to take out. Let’s take a look at whether this is actually the case. We are also going to examine what you should do to limit the chance of having problems with a flat tyre. Who pays for a replacement tyre on a rental car? You may be surprised to learn that a flat tyre is considered to be a usual hazard of driving, As such, if your rental car develops a flat, you will usually be expected to foot the bill. More often than not, a flat tyre is not even included in any additional insurance you may choose to take out with the rental company. Of course, you may already have cover with your own breakdown provider but if this is not the case you will be expected to pay for tyre repair and replacement as well as any damage that occurs as the result of the flat tyre. It’s also worth noting that you may not even be notified about the charges until weeks, or even months, after you have returned the vehicle. You can see why it’s important that you take action to limit the chances of the vehicle developing a flat tyre while you are driving. What should you do before you sign the rental contract? 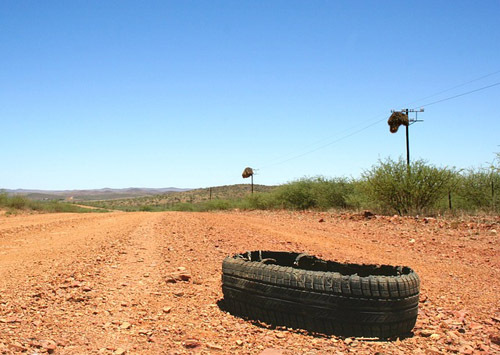 Before you agree to taking a rental car it’s important to check the tyres. Are they inflated as they should be? Is there any sign of bulging or cuts to the sidewalls? Is there plenty of tread all over the tyres? You should also check to see if there is a spare tyre in the car, and that it’s fit for purpose. Do not forget that if you are not completely happy with the tyres you have the right to ask for a different car. As soon as you drive away from the rental company you are responsible if the car develops a flat tyre. As you can see, you need to pay close attention to the tyres of a rental car. If you have any doubts about the condition of the tyres then you should ask for another vehicle straight away. If the vehicle’s tyres go flat as you are driving you could find yourself having to pay out for Continental tyres. If there is also additional damage you could potentially be facing a bill of hundreds of dollars.